The assessment is submission of all unit self-assessments and 22 case studies. A Certificate of Completion is provided upon satisfactory completing of the course. Course completion requires approximately 20 hours of elearning. Students have the flexibility to study in their own time and location. Program materials can be accessed through the eLearning Education app on mobiles and tablets with iOS, Android or Windows systems. Program materials can also be accessed using a web browser. 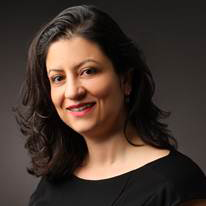 Associate Professor Elif Ekinci is an academic endocrinologist who is working to translate research into improved outcomes for people with type 1 and type 2 diabetes. She is the Sir Edward “Weary” Dunlop Medical Research Foundation Principal Research Fellow in Metabolic Medicine at The University of Melbourne, Department of Medicine, Austin Health. She is also the Director of Diabetes at Austin Health, a large tertiary referral centre affiliated with the University of Melbourne, where she co-ordinates the clinical care of inpatients and outpatients with diabetes.